At North Pole Dental Workshop in Alaska, dentist Jeremy Bauer understands it’s not always easy to get your children to brush their teeth. In addition to offering a wide range of dental services, including cosmetic dentistry and dental sealants, this family dentist is also dedicated to preventative care. Brushing and flossing at home are very important parts of that, so he and his team want to make sure everyone, even the smallest family members, is keeping up with at-home oral care. Use A Reward System: Family dentists recommend using a reward system to encourage brushing and flossing. Once they have reached their goal, reward your children for a job well done with a trip to the movies, a new book, or an extra family game night. Make It Fun: Let’s face it: Everything is easier to do when it’s fun. 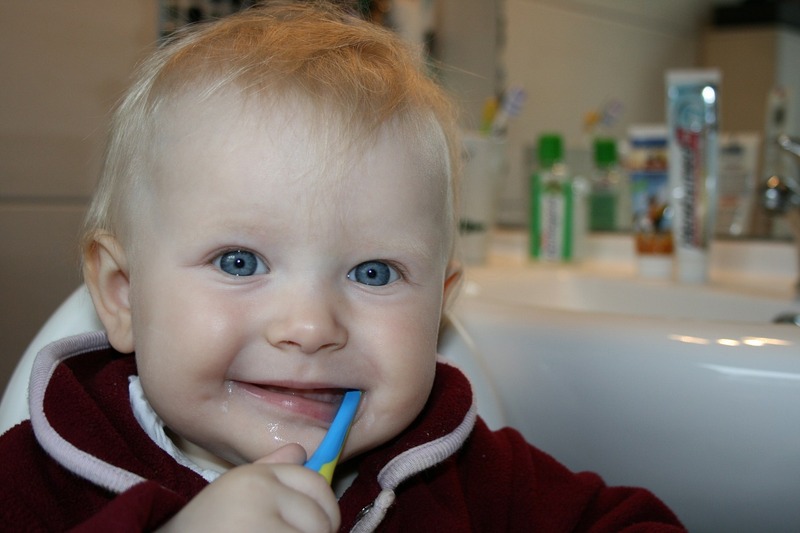 Make brushing teeth fun by letting your child pick out their own toothbrush. Today, there are many fun toothbrushes out there with popular characters, lights, and even music. Speaking of music, why not play a song while they brush? Pick their favorite tune and have them brush until it’s finished! Brush Together: Many dentists suggest making oral hygiene a family affair. Have all of your children brush and floss at the same time, and better yet, get yourself involved in all the brushing fun. Children want nothing more than to have extra time with you. They will be happy you’re spending time with them, and you’ll be happy they’re brushing and flossing. Regular brushing and flossing, along with biannual visits to your family dentist, will keep your children’s teeth clean and help them develop good oral hygiene habits. Dr. Bauer of North Pole Dental Workshop is an affordable dentist dedicated to providing each of his patients with outstanding customer service and quality dental care. Visit the practice online to find out more about their services. Call them at (907) 490-4650 to schedule an appointment today.